This coming week is the week of the convention known as the Electronic Entertainment Expo, or E3 for short. Nintendo, alongside a bunch of other big names in electronic gaming, will be attending E3 and showing off their newest games and products on the show floor. 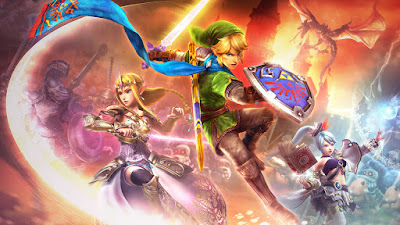 The first E3 announcement already was leaked in the form of Hyrule Warriors 3D. Leaked by it's own developer, Team Ninja, it looks to be a direct port of the Wii U game of the same name. The newest additions are the ability to switch team members with the tap of a stylus, as demonstrated in the trailer, the Golden Ocarina item, and the announcement of two new playable characters. These characters are named Tetra and the King of Red Lions, both from the Legend of Zelda: The Windwaker. By connecting Hyrule Warriors 3D to Hyrule Warriors on Wii U, you will be able to receive Tetra and The King of Red Lions in the Wii U version. It's price and release date have yet to be announced.